It’s World Sandwich Day! Celebrate with some of our favourite celery sandwich recipes. The classic celery sandwich recipe is, of course, the chicken walnut celery sandwich, popularly available in many places in Australia. 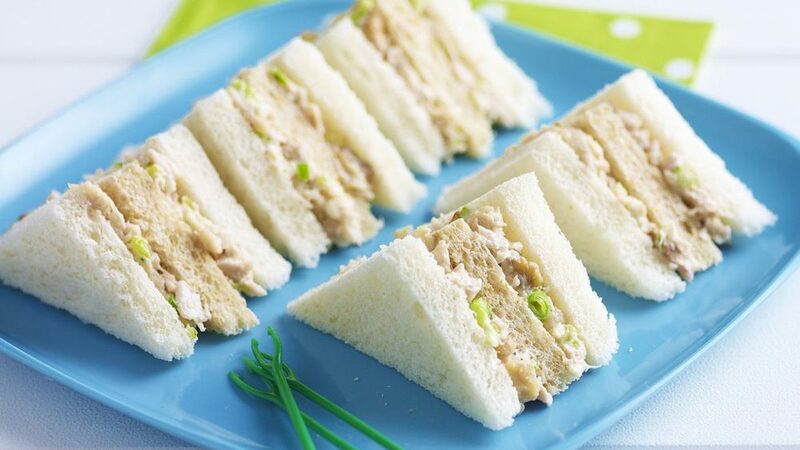 Another common variant is the tuna celery mayo sandwich. We don’t want to go into what constitutes a sandwich for this post, as we’re aware that the Burger vs Sandwich debate has been ongoing for a long time, but if you’re playing fast and loose with definitions this arvo, or looking for an easy, delicious recipe to whip up for your Friday dinner, try our buttery, more-ish Lobster Roll recipe. A “Vegan Tuna” take on the Tuna-Celery classic (x) featuring a delicious mix of chickpeas and vegan mayo instead of the norm. Can’t find vegan mayo in your supermarket? Here’s a home recipe (x) that also uses chickpeas. Martha Stewart’s favourite Tuna Celery Sandwich recipe (x) spices things up with basil and apple. Remember, if you’re looking to buy sustainable tuna, you can check out their ratings here (x). The results might surprise you. Another classic: an Egg Salad that will do great in a pinch for a sandwich (x). A Cranberry Walnut Chickpea tower that has some zing and some crunch (x). And the celery sandwich classic: originally printed in 1981, here is Craig Claiborne’s Chicken Celery Sandwich recipe (x). Image Source: Food to Love (x).